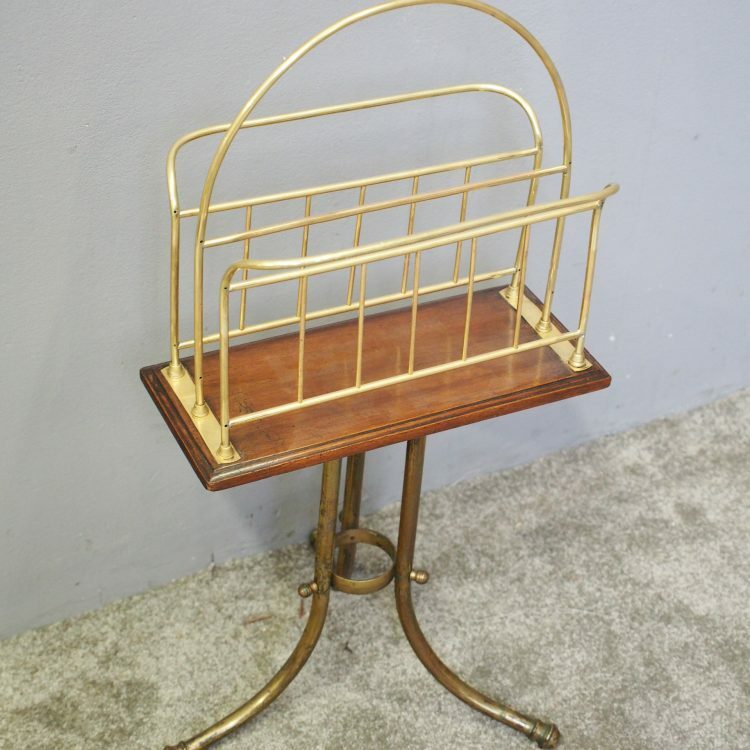 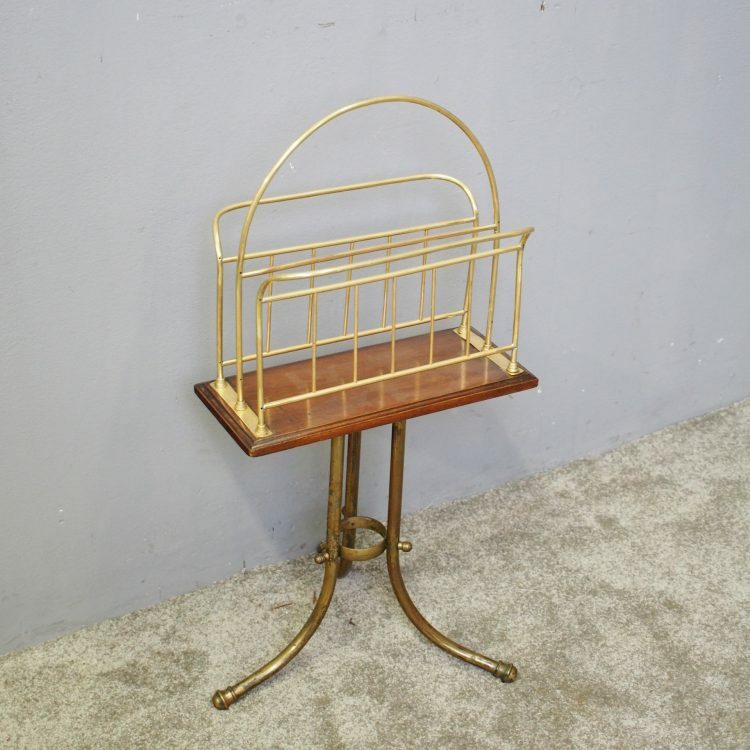 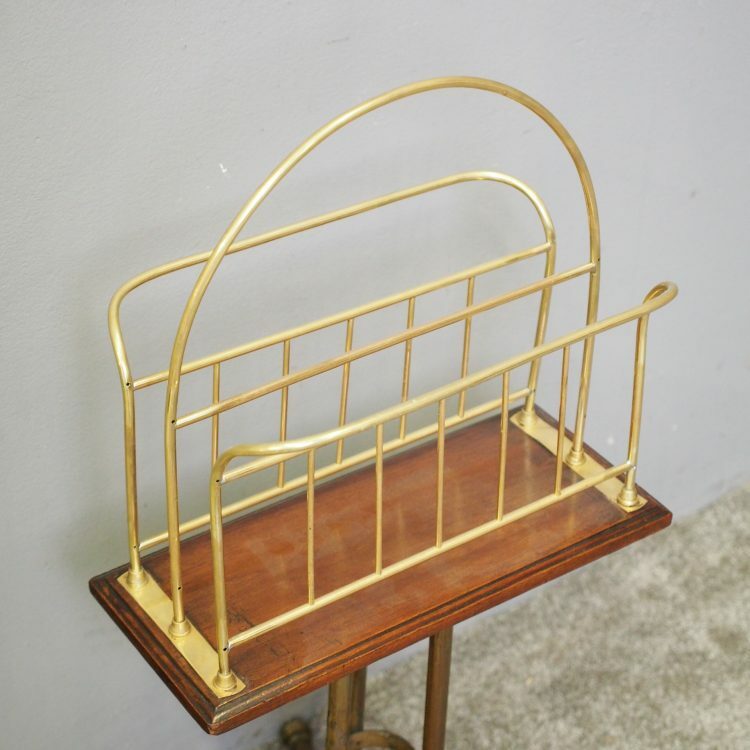 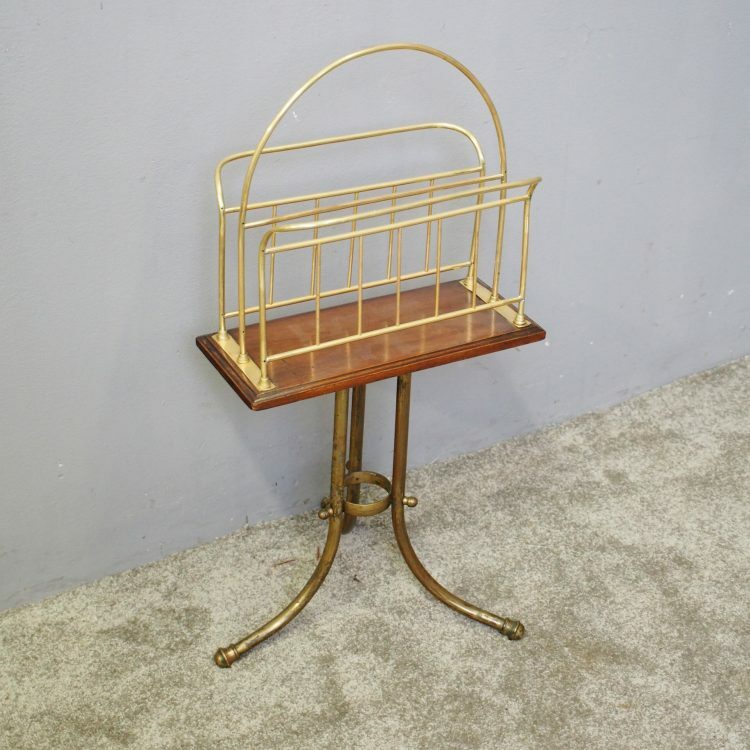 Circa 1900, brass and oak revolving magazine rack. 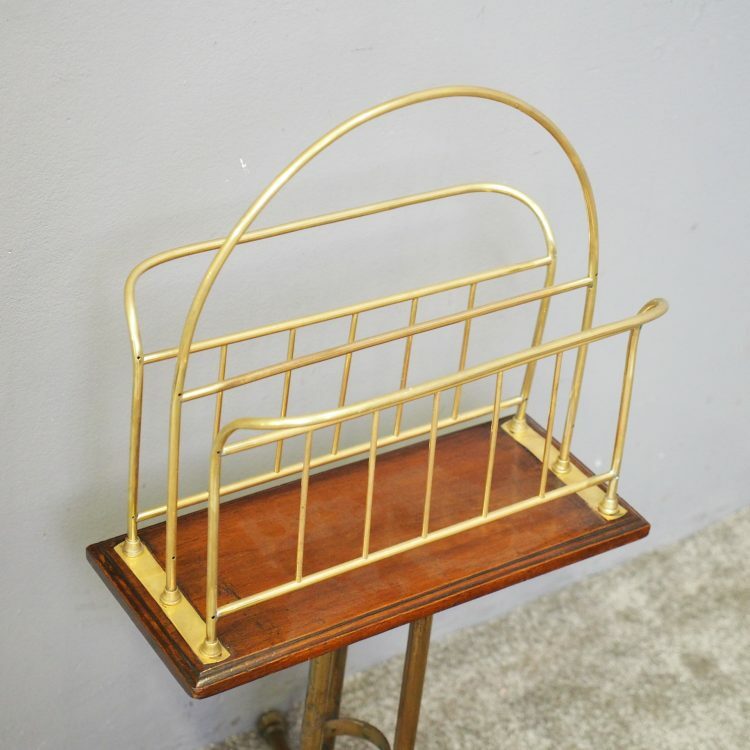 The top has a large central brass arch, with 2 brass sections either side, all fixed to an oak frame with moulded edge. 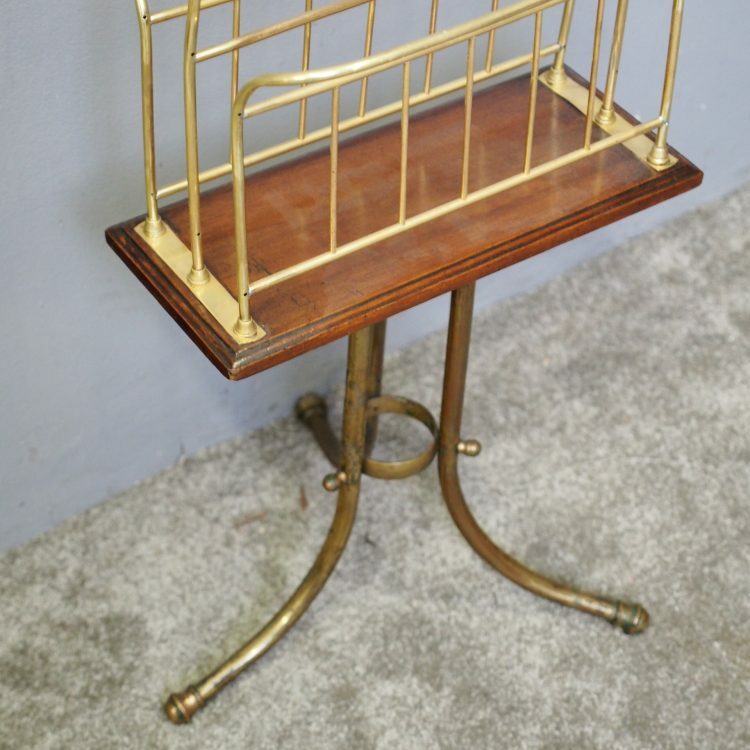 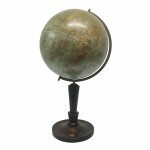 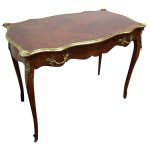 Beneath this, it has a metal base with circular brass splayed legs and a stretcher for further stability.